Last week I had one of the most frightening journeys I’ve ever experienced in my life. I flew back into Orkney in the middle of the ‘weather bomb’ that hit Northern Scotland. Despite the forecast, it was surprising calm as the Loganair flight left Aberdeen, but after we had been served the customary tea and Tunnock’s caramel wafer I always look forward to, the wind began to buffet the plane violently, not only from side to side but also up and down. As we came out of the clouds towards the islands we turned on dipped wing into a curve that I soon recognised as the familiar holding pattern. A few days before I had been working with fear of a different kind as novice therapists I was teaching about suicide talked about the anxiety which comes with not knowing how to cope when you, as a mental health worker, are faced with someone who might want to end their life. From my early days in psychiatry I had to try and learn how to cope with uncertainty. I often meet doctors, nurses and other health professionals who quiz me about what is the ‘right’ thing to say or do in a particular situation; as though we can always be prepared for whatever we have to face in a consultation, and handle it ‘properly’. As if, by some magic, we can always find out exactly what the chances are of a person seriously harming themselves by asking them the ‘right’ questions, and manage any situation by being ‘ready’ with the ‘correct’ words and interventions. So that they will be safe…and we will of course not be criticised. The problem is that it simply isn’t possible for any of us, therapists, doctors, patients or service users, to be sufficiently primed to deal with everything in work (or life) beforehand. There are too many different permutations possible. You have to learn how to use the knowledge, skills and particular talents you have and the information you can glean at that particular moment, to do the best you can to help someone in the time available. In talking to a patient, a mental health worker has to work hard to gain a person’s trust so that the answers to his or her questions will be at the very least some reliable refection of how they are feeling. In order to achieve this the worker has to be able to contain their own anxieties; about their own performance, the safety of the patient, what might or might not happen, in order to help the patient contain theirs. If the worker is struggling to deal with their own fears, such as being simply overwhelmed by the enormity of the person’s problems, the person seeking help will not feel safe enough at that moment to share how they feel- and the worker probably will not obtain an emotionally accurate sense of what is happening for them. Its not only novice mental health workers who find it hard to manage uncertainty. I meet some quite experienced professionals who are still very obviously struggling to cope with their own fears. For me, it indicates they need a time and place to share their worries about the job. Supervision is still sorely lacking for many workers. As a consultant psychiatrist I regularly shared my concerns with my closest colleagues but I had no formal arrangement for support and supervision. But I have seen how, if we don’t learn to cope successfully with the uncertainty and fear we face in our work, we manage it in other ways. By detaching ourselves from the pain and becoming less empathic; by trying to dissolve it in alcohol and other substances; or just trying to exert an even greater control over the world, searching for answers to those unanswerable questions I get asked at the end of lectures which always raise an uncomfortable laugh from the audience. Our fear is palpable to our colleagues as well as patients. If we can acknowledge the limits of certainty we have a least a good chance of reaching out and helping a person to tolerate the fear they are experiencing when they begin to tell us about something awful- like their thoughts about dying or the abuse they faced in childhood. Then we can begin to give them some hope. The first step in this must be staying calm, and showing we can take it. I used to be very afraid of flying. I suppose I’ve undergone a prolonged course of desensitization over the years, but my palms still sweat at every take off and landing. Last week they were wringing wet. After one run at the airfield which was aborted because of a ‘build up of traffic waiting to get in’ we eventually landed at Kirkwall. I was emotionally drained and almost tearful. But I know that what helped me to contain my fear of dying in the storm was the reassuring commentary of the co-pilot. Her calm professionalism helped. There could have been panic in the cockpit. But it didn’t show. I wanted to thank and hug her, but I didn’t…being British of course. So I just said ‘goodbye’ with a teary smile, and stepped onwards into the rain. Happy to still be alive. One of the side effects of having more time than I used to is that I begin to brood over the meaning of the words I once used without a second thought. It particularly happens on long walks without the running commentary of the radio. In a recent bIog I talked about ‘recovery’. Now I’ve started to think about a word I would never have given much more than a second thought too as a working psychiatrist- ‘assessment’. The problem with many words in mental health is that they can begin to assume alternate meanings. Use of the ‘active’ and ‘passive’ tense can be important too in conveying a sense of who has the power. There is something very passive about being ‘counseled’ and the act of counseling has itself taken on various meanings from receiving counseling as ‘therapy’, wise counsel as ‘advice’ and being ‘counseled’ as a form of disciplinary act. I don’t remember as a psychiatric trainee being specifically trained to carry out a ‘psychiatric assessment’. I was taught how to master a psychiatric interview, which considered of ‘taking the history’ (which can sound and feel rather like a rather one-sided action on the part of the doctor, removing something from the patient) and carrying out a mental state examination. I soon learned that for the interview to be effective I had to spend as long actively engaging the patient in thinking I was a person with whom they would be willing to share their experiences, as asking all the questions that psychiatrists are (in)famous for. Later on, I began to research how both GPs and psychiatrists approach the ‘consultation’ as the meeting between professional and patient is commonly known in primary care. Indeed actively ‘consulting’ the doctor conveys more power to the patient than being interviewed or assessed by them. I spent hours, days and weeks observing interactions for my research. I remember the patient who, when asked by the psychiatrist whether he knew if he had had a traumatic birth quite reasonably replied ‘well the Battle of Britain was on at the time doctor’. Somewhere along the line, the psychiatric interview or consultation became the ‘assessment’ with a list of questions to ask the patient. Changes in the examination system of doctors reinforced this, with the shorter structured OSCEs (Observed Structured Clinical Examinations) with role-played patients, that are probably fairer to the candidates, but reward marks for asking the ‘right questions’ when ‘assessing depression’, ‘suicide risk’ or ‘hallucinations’. I’m as guilty of this as anyone. I teach suicide risk assessment skills. The blurb for my latest book on depression mentions assessment too. So what’s the problem I have with assessment? Well, when a person assesses another they are implicitly making a judgment about their suitability for something or their ability to achieve particular goals. As a patient I have been assessed for therapy. That’s fair enough perhaps when there are indications as to whether or not a person might benefit rom that intervention. Psychologists regularly carry out assessments perfectly reasonably as not everyone will benefit from their specialist expertise. But how often is this mutual assessment? Are you a person I could talk to? Can we move away, in mental health care, from this culture of assessment back to one of a consultation, which David Tuckett and his colleagues first described many years ago as the ‘Meeting Between Experts’? I am the expert in what I am experiencing. You are the expert in what might be effective. In consulting you and providing you with all this very sensitive information about my inner life, I’m an trusting that you as a professional will be able not only to say if you will be able to help me personally, but also that you will do your best to help me access what I need. I really need your assistance now to navigate this increasingly hostile system of care. I am asking for your help. 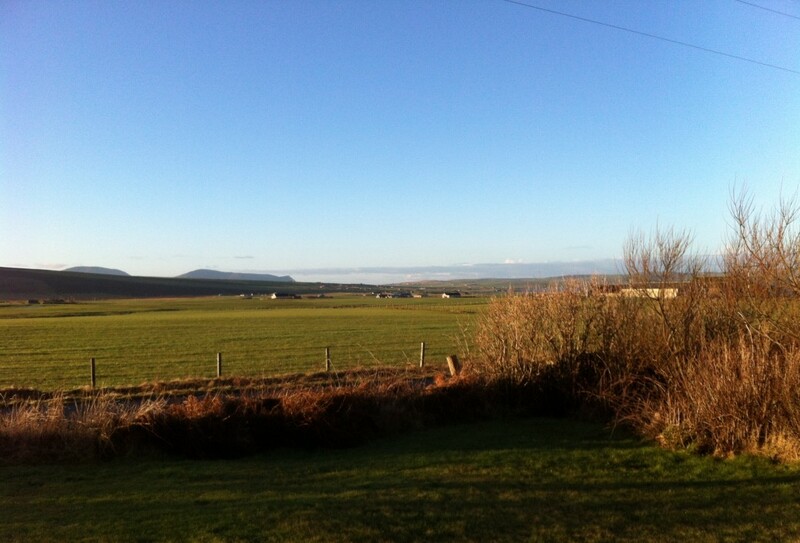 I’m back in Orkney after six weeks away. I’ve been busy, teaching and working, as far afield as Bangladesh. I’ve also found it impossible to sit down and write even when I’ve not been occupied. One of the things I’ve had to learn as an adult is how ‘be’ with myself. When I was a child, I was often very solitary. I enjoyed reading and spending time alone. I’m one of those introverted people who needs to recover from a stressful day, with people who never seem to stop talking, by being on my own; rather than, as some people relax, by heading out to a noisy party. Extended time interacting with others without a break is for me a peculiar form of torture, although I strangely never experienced this much in the company of my patients and closest colleagues. Unfortunately the world is full of extroverts who cannot understand the needs of someone like me. As Anneli Rufus commented in her book Party of One: The Loner’s Manifesto, its not easy to be a loner in a world obsessed with ‘team-building’; in a society where the very word ‘loner’ has connotations of being odd, crazy, secretive and strange. However, being alone brings it’s own challenges. Living inside your own head is all very well if it’s fairly pleasant in there. But if it’s rather a mess and full of the rubbish left over from past relationships and conflicts, it’s not a peaceful place to be. Its tempting to spend more time in the company of others, not necessarily because you want to be with them, but in order to drown out your troublesome inner dialogue. It is true that spending time on your own can be a way of escaping from dealing with things you have to tackle in the ‘real world’, but its really important not to assume that is always the case. I’ve seen too many people forced out of their protective shell by extroverts who think they should ‘socialise’ more. It happens in mental health because of the belief that those who are on their own mustn’t feel lonely. Some people need time alone to feel safe. Looking back over my adult life, I’ve spent hours, days and weeks in the company of others trying to avoid feelings of loneliness and unworthiness, while at the same time resenting the time I’ve wasted not doing all the things I wanted to be able to spend time on. Something changed for me in adolescence. I started to hear the self-critical voices in my head (and my mother too- a born extrovert) telling me to ‘get out and mix more’. Its also hard to meet a partner too if you never leave the house, though social media is changing the way we view dating and our other interactions with the world to a degree that mental health workers haven’t quite caught up with yet. The on-line world can seem more real to you than the jungle out there…and can be just as threatening. I find it difficult to be creative in the company of others, or when there is too much ‘going on’ in my life. Virginia Wolff was so right about needing a Room of Your Own. I’m on an island. As Anthony Storr wrote in his now classic text Solitude we need time and space to discover what we are capable of achieving. Being alone is a necessary step to learning about your self. The difficulty of course is that you may not like what you find. There may be a great deal of ‘stuff’ reverberating around your head. Being alone forces you to begin to sort out the packed store cupboards of your mind and throw out the junk. When I am on my own with my thoughts I have to find ways of dealing with them, e.g.by going out for a walk or having a sleep. Not by seeking out others who will then make more demands on ‘me’. It sounds a little selfish as I write about it. But its self-care. An increasing number of people live alone, including many who are depressed. Loneliness is viewed as a growing problem in our society, yet there remains a real stigma to being on your own, which I suspect prevents some people from embracing their solitude and learning to live with it as they fear becoming even more lonely. I can see now that I felt lonelier in a failing marriage, making meaningless conversation at corporate parties, than I did when I really began to come to terms with being on my own on a prolonged stay in a remote Scottish cottage. I am not completely alone now. I have a husband to whom I speak to every day, but from whom I spend quite long periods away. He is a person who needs his own space too. Each of us needs to find, what is for us, the right balance of intimacy of aloneness to be able to function. There now….I’ve started writing this blog again.